Is There A Target On Your Ingrown Toenail? An ingrown toenail is a simple concern, with a simple cause, and simple treatment...but man, oh, man does it hurt! Anyone who has suffered with an ingrown toenail knows that it feels is as if there is a target painted on the toe. Everyone steps on it: your kids, your dog, total strangers. They're all out to get you. This is why your best is to get your ingrown toenails treated as soon as possible by a foot doctor in Houston. The relief is immediate. There are three causes of ingrown toenails. The first is when the nail is too wide for the nail bed. This causes the nail to grow beneath the skin on both sides. It could be painless, but when there is excess pressure placed on the area due to shoes or injury, it becomes inflamed and infected. The second cause of ingrown toenails is when the nail becomes curved. This can happen due to injury, an infection of fungus, or can naturally occur as part of the aging process. The pain from an ingrown toenail of this type is due to the pressure from the shoe driving the nail down into the skin. Persistent pressure can also cause your skin around the nail to become infected. Finally, an ingrown toenail problem can be caused by improperly trimming the toenail. 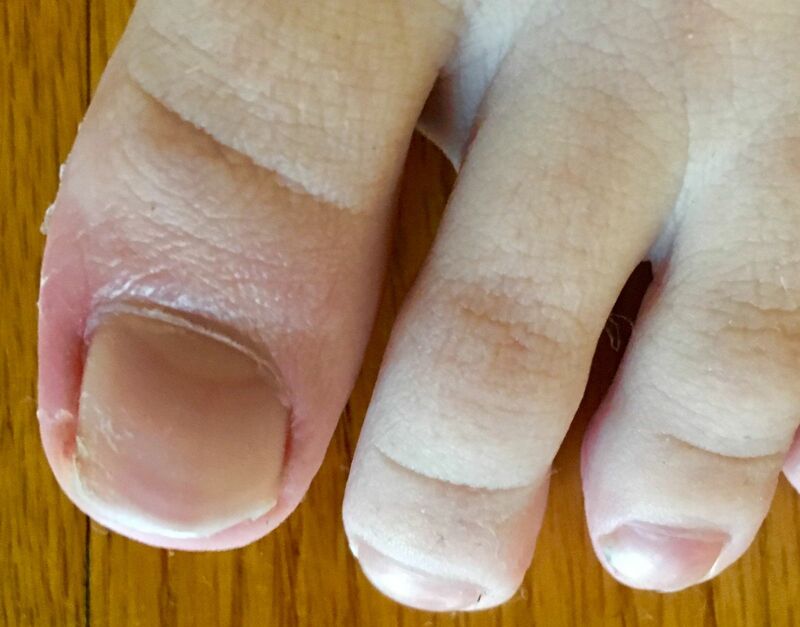 Known as "bathroom surgery," this typically happens when someone is overzealous when trimming their toenails. Ironically, it most commonly occurs when the person is trying to avoid an ingrown toenail. The overaggressive trimming often leads to a toenail infection. Many people are frightened about the ingrown toenail surgery, but, once complete, most people wish they hadn't waited so long to undergo the procedure. It's never as bad as you imagined, or certainly not as bad as your friend predicted. It is a simple in-office procedure that starts with the toe being numbed (ok, that's the only part that hurts...promise). The procedure itself takes less than ten minutes and is painless. Restrictions after the surgery are minimal and most leave in their own shoes. If you have suffered with ingrown toenails, it is time to visit us at the at Tanglewood Foot Specialists. Break the cycle of pain and get the target off of your foot! Thanks for sharing. I have also read from other source that soaking your feet in warm water can help in relieving the swelling caused. Ingrown toenails can be really painful. Thanks for the post, now I know what to do. Thanks for this. Now I know how to treat and prevent ingrown toenails which are really painful. I had an ingrown toe nail because my nail was too big for the space on my toe. I had a lot of pain!